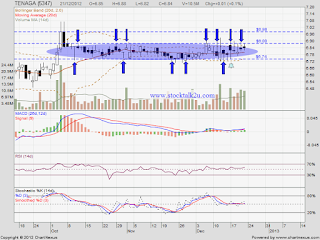 TENAGA consolidate within RM6.74 & RM6.88 range. Stochastics %K trigger BUY call, pending confirmation. Immediate resistance @ RM6.88 level. 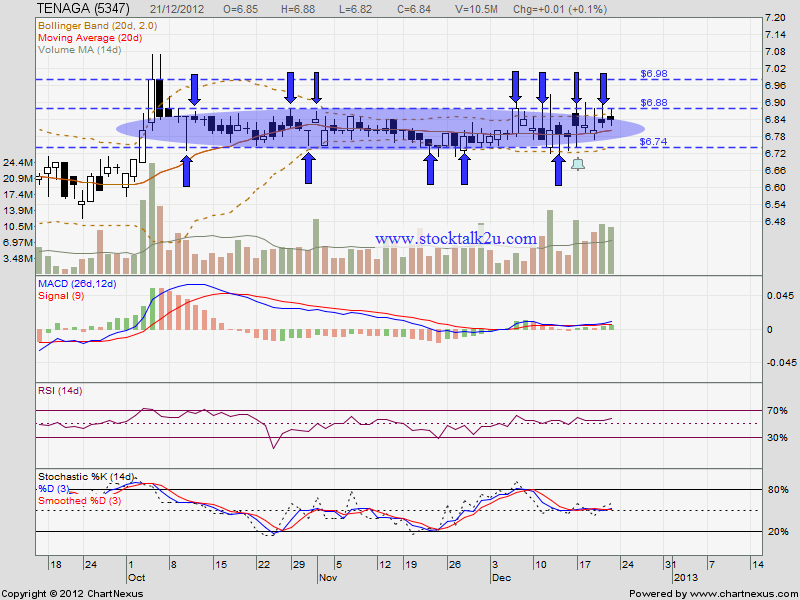 Sunsequent resistance @ RM6.98 level.